Be still our beating hearts – the time is nigh! THE DRAGONS COME! They are so very close. They will soon be ours. Are you ready dragon admirers? Of course, dragon owning requires great responsibility. 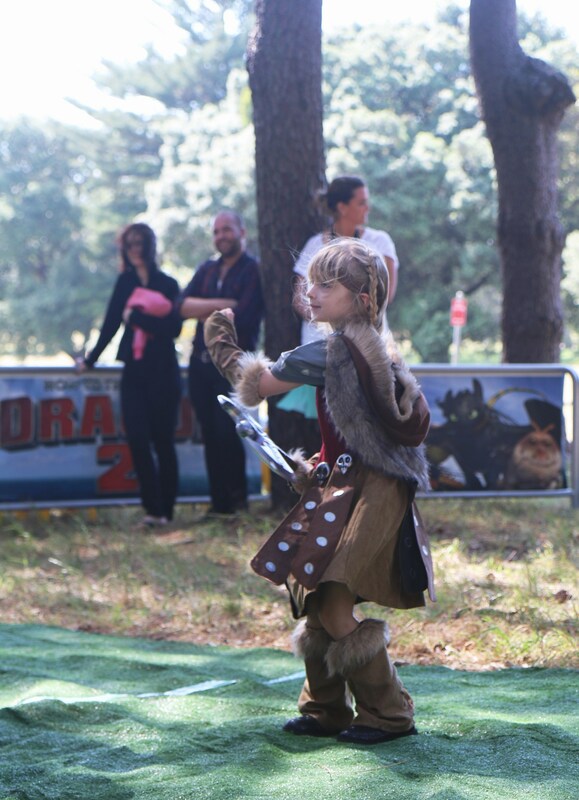 Before I can divulge more – I need to confirm – have you visited your local Viking Training Academy? Have you learnt the fine arts and secret moves to take on any kind of dragon and convert them into a favourite Viking friend? We brushed up our skills on Sunday as a special dragon training camp that was held at a top-secret location (because you just never know where Mildew and his bad-tempered attempts at sabotage might pop up). Astrid 2.0 (otherwise known as dear daughter Beth) found the training to be an excellent opportunity to best a Gronckle and swap dragon yarns with the illustrious Gobber. She was delighted to be certified as a Dragon Rider, and the past 3 days have been a nervous wait filled with anticipation for the best day of the year: November 12 – DRAGONS’ DAY. Astrid 2.0 loves Dragons. She especially loves viking dragons. She super especially loves Toothless, Stormfly, Cloudjumper and Hookfang. In fact, the whole How to Train Your Dragon 1 and 2 crew is on her christmas card list. 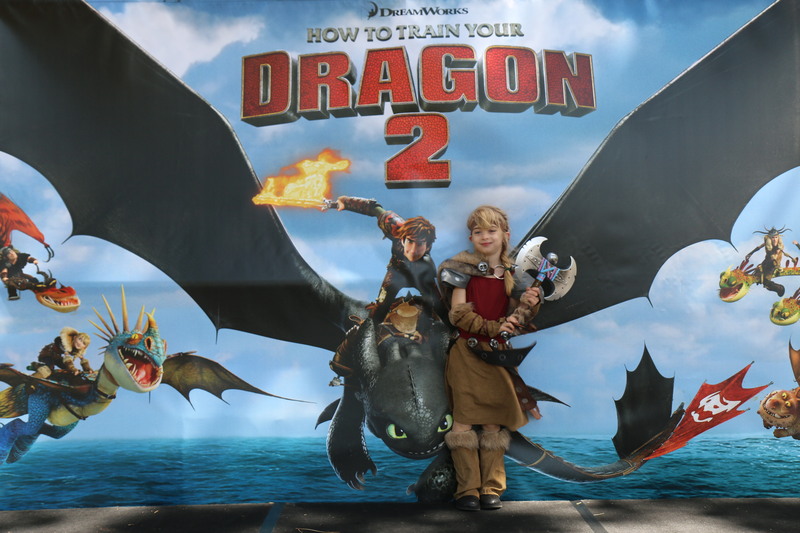 It is How to Train Your Dragon 2 we are celebrating, because, TODAY, Dragons’ Day, the DVD is released, and that means we get to take the whole new expanded team home with us, to love and nurture, dream about and interact with whenever we want. One aspect has me a little worried. Astrid 2.0 seems to adore Valka more than any mother wants a child adoring an alternate mother figure. I have a feeling that were Valka to land in our front yard on Cloudjumper and ask to adopt her that I wouldn’t even get a goodbye! Dragons – the ultimate mummy accessory around it seems. 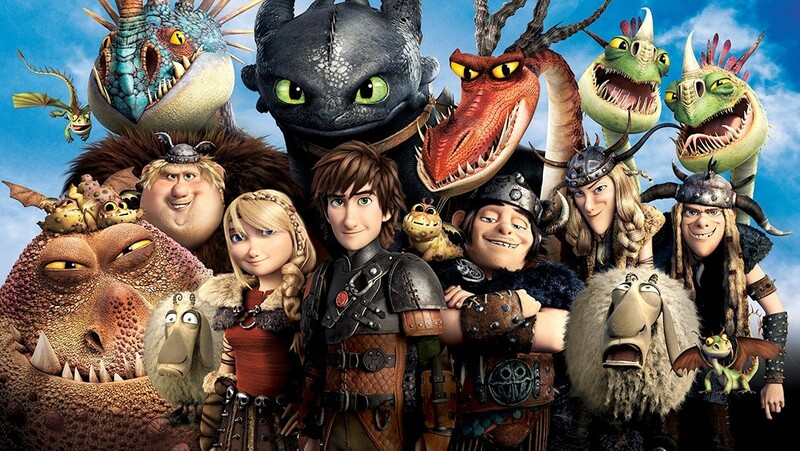 For those that have yet to see How To Train Your Dragon 2, adults and kids alike will love it (trust me – I have seen it 4 times at the cinema and am quite anticipating our pre-order turning up today). Beware – for the littlies, there is a scene of sadness, with the passing of a character from the first movie. I was taken aback the first time I saw it – not expecting a death, and Astrid 2.0, whom is 5, cried with true viking spirit. But there was context and made the finale a true celebration of success and community spirit, so she saw it for what it was – real life is not sanitised after all! 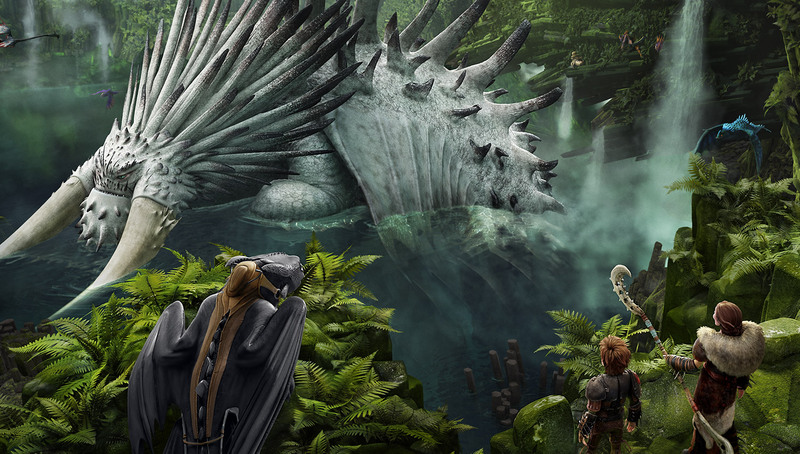 The sequel is a visual feast, with many new characters and wonderous locations, a treasure trove of fabulous new dragons, and we get to meet the greatest of all – the Bewilderbeast. Then of course, there is Valka, the ultimate mother-hero. 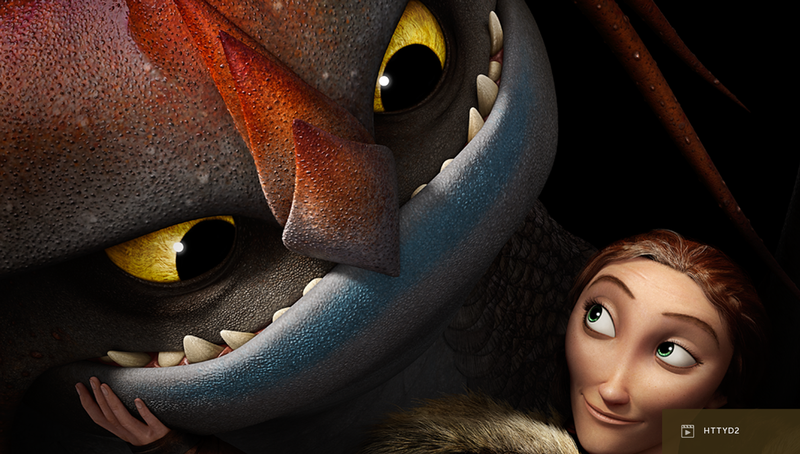 I absolutely love how the HTTYD storylines have strong, independent females: Astrid, Ruffnut, Valka. They send out fabulous messages to all girls that they can be brave and fearless and still be female, respected and loved. In fact, the whole gang is cool, slightly naughty and rebellious: I love that the viking kids are growing up and continuing to solve their own problems as a team. Perfect subliminal teachings for kids whilst they soak up the entertainment with a side dish of popcorn. Well – I wont spoil the story, now that the Dragons have returned, you can grab a copy and become immersed for yourself. 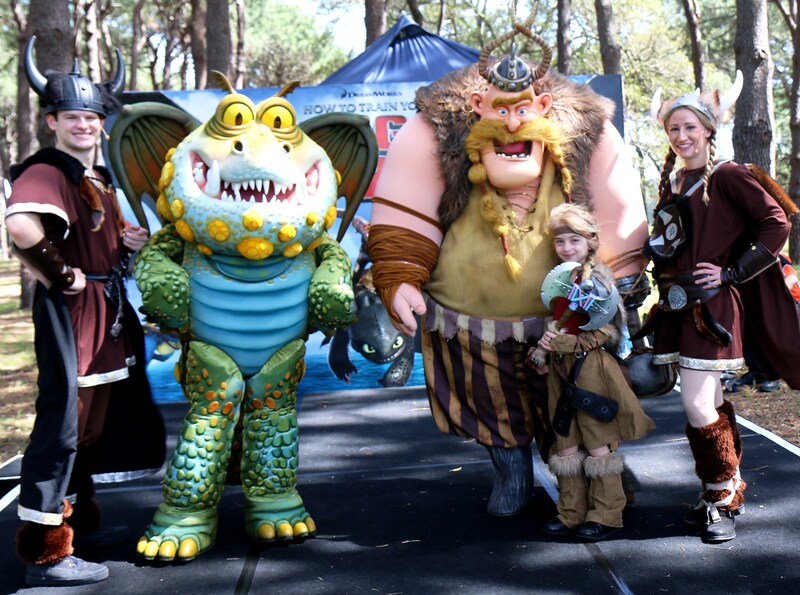 And then we can all start annoying Dreamworks for HTTYD3 – perhaps I can get a small cameo and win back my daughter! Happy dragon training to all! This is an unpaid blog post celebrating a love my daughter and I share – dragons. It’s a common catch-cry these days, Where are my dragons? Dany’s says it, Astrid says it, and now my own daughter says it. Why are all these girls looking for dragons? Because it has been SO LONG, so very, very long……. We have waited, and waited, and now, finally, I am able to report that DRAGONS HAVE BEEN FOUND. Dragons – a modern, feisty, intelligent girl’s best friend. Yes, they are returning to us, to be ours, to live in our homes, be part of our lives forever! When, I hear you ask excitedly…. just a moment and I will reveal all! We were lucky to be invited to a top-secret pre-return dragon training session today, were my own little Astrid wannabe was put through her paces in preparation for the dragons imminent return. A session at the Viking Training Academy, where Gobber himself gave her the nod – she is READY, dragon rider certification is hers. Now all we need is a dragon – WHERE ARE THOSE PESKY DRAGONS???????? Dragons Day is this Wednesday, 12 November 2014, and on this day, the Dragons return. Watch this site for more information. Addendum 23 March, 2012. We went again tonight – Stoic the Vast was superb, and the mechanical cast was perfectly behaved. Our previous outing had been in Premium seats (section 6). Front on, brilliant for 3D flying graphics. Tonight we had A reserve family seats, 2/3 the price, but side on – so graphics lose a lot. 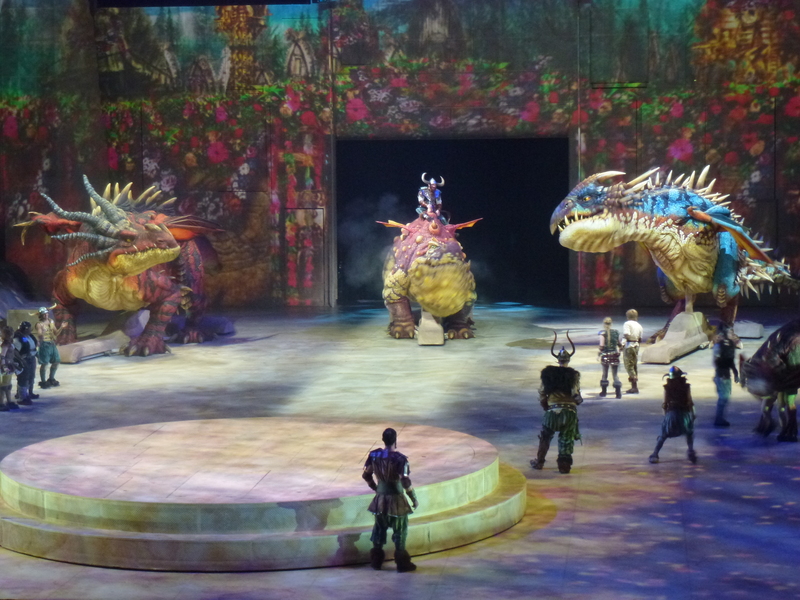 But instead we were fully immersed in the action – saw dragons seriously up close and took in the actors every facial expression. So if you cant afford premium seats FEAR NOT, your journey will be just as amazing! Right now, some people are nodding. They know what I am talking about. Anyone who has a love of maps knows this is the phrase indicating the unknown awaits beyond this point. It is also a pretty cool book by Sharon Penman, if you like historical novels I recommend it! And if you just love dragons and fantasy writing try reading the Dragon Series by the lately departed and very talented author Anne McCaffrey. Are you getting the sense I am a little obsessed with dragons as yet? My use of the phrase is about the unknown. It relates to an amazing event happening in Sydney as we speak. It started in Melbourne last week, and will soon move on to other Aussie cities before embarking on what I assume will be a world tour. It is unknown because it uses technologies not tried before, to tell a fantastical story. 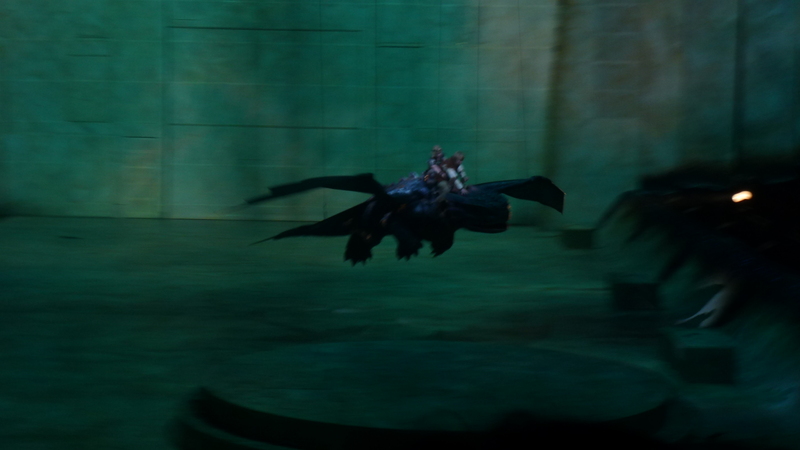 It is of course, the How to Train Your Dragon Arena Spectacular. Spectacular it certainly is! Dragons abound, so real that you almost feel the lick of flames on your eyebrows, and a tear forms when poor Toothless is lead away in chains. Little Miss Bethie Boo howled at that point, trying to get out of her chair to help him. Yes, she is a Toothless fan from way back, his scaled-up similarity to our own rotty cementing a familiarity that blossomed into full grown love when she saw him in the flesh yesterday – hmmm – actually, make that “in the rubber and scaffolding” LOL. You see what I mean – they look so real, their emotions play across their faces, their movements are based on true ambulation and flight, so you begin to believe they are alive and breathing. Wonder if we can take one home? Maybe not – the rotty tends to get jealous of giant pets besides himself. Bethie Boo will have to go back to strapping wings on him and encouraging him to zoom around the backyard. The story we know – if you have read the books or seen the movie then there are no surprises, so I won’t dwell long on it, if you don’t know check out the website for detailed info. In a nutshell: Boy is a nerd, boy hunts dragon surprisingly successfully, boy injures dragon and feels bad, boy forms bond with dragon and becomes expert in how to handle them. Now boy must teach his community to be less right wing and become one with the dragon. How this has been translated into an arena venue is nothing short of brilliant. 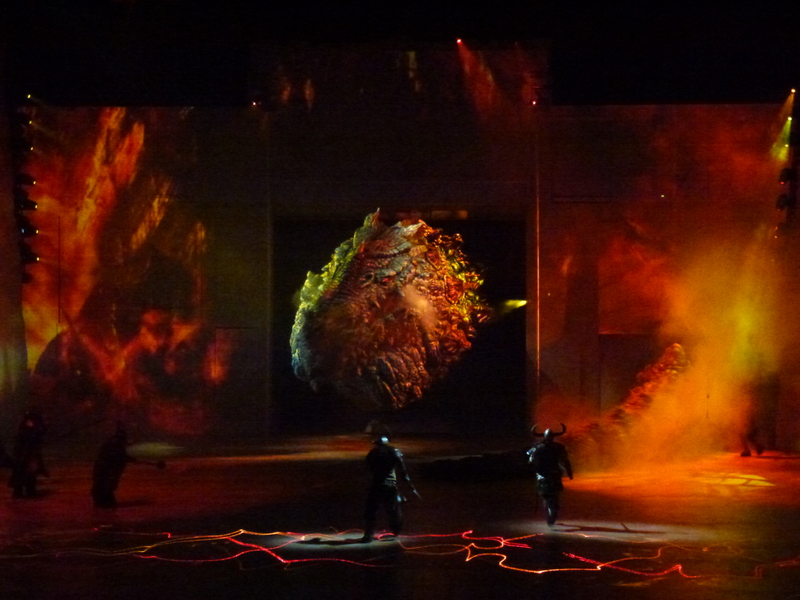 3 dimensional story lines in a limited space can be a problem but the team has used large screen backdrops and moving 3D light projections to make you feel a part of the landscape. Samsung and LG eat your hearts out – no need for uncomfortable 3D glasses here! The underwater scene was stunning, light and bubbles convincing us we have plummeted to the depths to watch Toothless and Hiccups fight for breath – I was sure I was going to see Nemo float past at any second. Flying through trees and over mountains was convincing enough for me to feel my stomach lurch in Toothless’ signature death defying air dive (but then I am a big woosy). 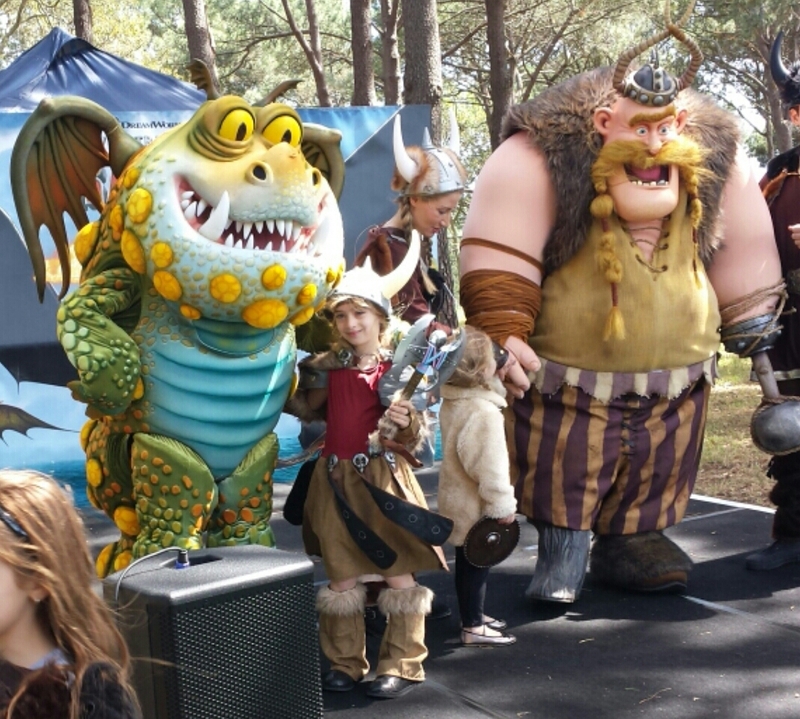 The acting could have been a little sharper from the older cast members (Chief Stoick was more like a bowl of jelly than a stubborn, blood thirsty viking leader, and Gobber was not nearly as nutty as I would have liked), but the young leads were superb – Astrid and Hiccup were true to character and an inspiration for kids. BTW – it is great to see some girl heroes mixing it up with the baddies for a change! I am sure Bethie Boo is now secretly making notes to look for a broad axe when next we go shopping at Bunnings. Considering the show is only in its 2nd week I gave it 7/10 for acting – am sure by time it leaves our shores it will be into 9 or 10 range! Technically there were some mishaps, not surprising with a show of this nature and still in its infancy, so we had a 25 minute delay and slight false start after intermission. At one point poor Toothless’ left paw was shaking bad enough for me to wonder if he had a nervous condition or stage fright. Perhaps during the intermission delay they could have brought a dragon out to circle the ring and keep the kiddies from boredom, after all 3 year olds (and many parents it seemed) have the attention span of a lit fuse. In the end, it was just a delay (and opportunity for one more box of overpriced popcorn). From my perspective the show was so good that the delay was forgotten by the time we walked out at the end. Since hubby and I both also loved it, MORE is what we shall see. We actually are going to go back for a second bite on Friday night because it was so very good. I have made a little video review up and you can find it here, with little sneaky bits from the show thrown in. Please note I paid for my tickets and have not been paid for this review, it is our personal experience I wanted to share as we had such a good time. And if Toothless is reading this – hey buddy, come say hello Friday night, we wont tell our rotty!